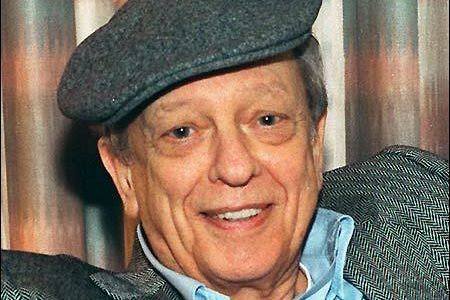 Don Knotts was not Barney Fife. The talented comedian was certainly known best by the role of Fife on The Andy Griffith Show, which he played brilliantly, but he had a long career beyond the bumbling deputy. It is hard to separate such characters from the actor, as they often become a part of our own lives. Not only have generations grown up with the people of Mayberry, the younger set is lucky to have re-runs to enjoy. The characters we know and love continue to stay young and alive through the magic of television. Knotts is just one of our all time favorite actors, largely due to playing the role of Barney Fife. He appeared in almost every episode as sheriff Andy Taylor’s side-kick. He was a lovable kind of guy for his inane antics and so called helpfulness. The show experienced huge success from the undeniable chemistry between Knotts and Griffith. They remained close friends until Knotts’ passing in 2006, at age 81, from lung cancer. Andy Griffith passed away in July of 2012 at age 86. The whole cast of The Andy Griffith Show, including Ron Howard, Frances Bavier, George Lindsey and Jim Nabors, became like extended family to many in the 60’s. Knotts was born and raised in Morgantown, West Virginia. Growing up in a troubled family, he left for the Army soon after high school. He found his talent while being involved with the special services and entertaining troops. He returned to West Virginia University and later embarked in several short gigs and plays in New York. Knotts was Griffith’s top choice to play deputy Barney Fife in the show based on Griffith’s hometown, Mt. Airy, NC. He won five Emmy Awards for his remarkable and believable work in the series. Knotts was playing a part and he was good at it. He was not Barney Fife in his personal life. Although Knotts was somewhat stereo-typed as a nervous, fidgety character, he went on to do many other projects in his acting career beyond the role of Fife. Leaning mostly towards comedies, he banked many movies including The Reluntant Astronaut, The Incredible Mr. Limpet and The Apple Dumpling Gang. Knotts was also known for his role as landlord Mr. (Ralph) Furley on Three’s Company in 1977. His final film was Chicken Little in 2005, in which he did the voice of Mayor Turkey Lurkey. Knotts was not just Barney Fife, he was many characters. He was an actor, a comedian a husband, a father and a friend. For that, he will be remembered. Several years ago, plans for a Barney Fife statue were made in Mt. Airy. The project was prevented from being completed by Knotts’ wife, Francey Yarborough Knotts. She wanted her husband to be remembered for more than the zany deputy. Knotts had previously been honored by a star on the Hollywood walk of fame about a year before his death. Since then, fund raising efforts in his hometown of Morgantown have been going on with the goal of $50,000. Recently, a final donation of $5,000 by The Greater Morgantown Convention and Visitors Bureau put them over their goal with the statue being completed in the near future. It will depict Knotts as a middle aged man, sitting and reading a script. Many tributes to Knotts’ character Barney Fife already exist, especially in the town of Mt. Airy. Along with many shops selling all types of merchandise, Fife’s famous tweed suit is on display at the Andy Griffith Museum. Memorabilia from the show brings back fond memories as patrons also can view an existing statue of Andy and Opie. Just in time for what would have been Knotts’ 90th birthday this year, his hometown is finally set to honor him properly as the keen actor that he was. Don Knotts was not Barney Fife, but he will always be remembered for bringing that special character to life and into our living rooms. 9 Responses to "Don Knotts Was Not Barney Fife"
I am grateful for your post. I’d prefer to comment that the expense of car insurance will vary from one insurance plan to another, for the reason that there are so many different issues which play a role in the overall cost. For instance, the make and model of the vehicle will have a large bearing on the price tag. A reliable aged family vehicle will have a lower priced premium than a flashy sports car. Generally I do not learn article on blogs, however I wish to say that this write-up very compelled me to try and do so! Your writing style has been amazed me. Thanks, very nice article. I have observed that online diploma is getting well-liked because attaining your college degree online has turned into a popular method for many people. Many people have definitely not had a possibility to attend an established college or university but seek the increased earning possibilities and career advancement that a Bachelor’s Degree provides. Still some others might have a college degree in one course but want to pursue one thing they already have an interest in. Don Knotts was told that everyone was signing on for five years. Starting in the fourth year, he lined up work for himself after the show ended. It was only after he was committed to that work that everyone decided to keep the show going. That’s when the horrific color episodes were made and that idiot Warren came on the show. In the first place, I didn’t put Warren in the idiot category at all!! To me, he was funny in a way of his own, and was a preference of mine over the bumbling, get-away-with-anything Fife! Andy was always explaining away his cousin’s short-comings as a deputy, and I didn’t like that, either! Second, don’t misunderstand me. I loved watching Barney when I was a kid, but I’m not a kid anymore. ANYBODY could turn his “mind” away from being a deputy, and more times than not, DID!! The pretty woman speeder even got away with perjury in that case, and Barney got away with helping her! No, “Barney” ain’t funny anymore. Mr knotts would frequently teach acting seminars at wvu unannounced with no fanfare. I knew several acting students that told me that. He sometimes ordered out from Wikipedia,vs and things when he was in town. Loved his character as Barney Fife, but he did not appear in almost every episode…he left the series early on and had a few returning episodes. The best of that show was whenever he was featured. He and Andy played off of each other so well. Best tv show ever written and performed in my opinion. He also played in the Ghost and Mr. Chicken and with Tim Conway in The Private Eyes.